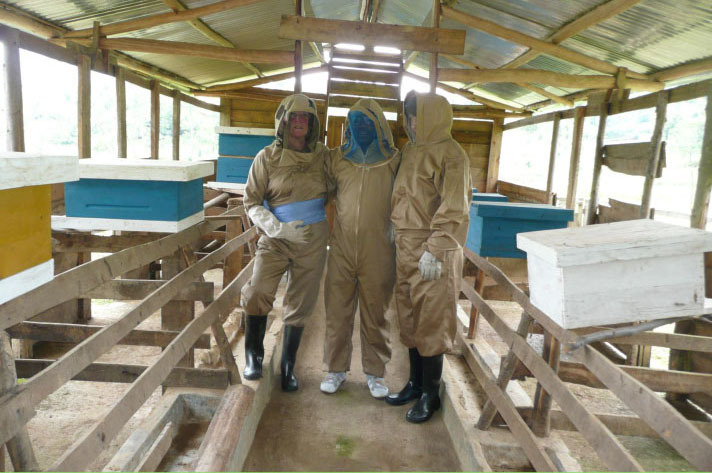 Improved beekeeping and setup of a modern unit of 100 hives which each can muster 25 kg honey a year in the region of the Nyungwe forest. Setup of a modern unit of 100 beehives around the Nyungwe forest. (i) increasing the quality and quantity of honey on the local and national market. (ii) improve the living conditions of the local population of the FNN. (iii) planting of honey giving plants and fruit trees around the unit of the inserted honey hives. Beneficiaries: local population of the FNN, about 12.567 inhabitants. - Shortage of Financial means to start the project. 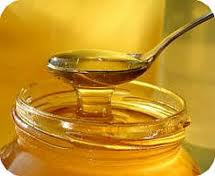 • Production of honey producing plants and fruit trees. • Formation and improvement of the capacities. • Support for the commercialization. • Acquisition of goods, services and the necessary work to proceed with the project. • Administrative and financial management of the project. Finally, the activities in the above projects carried out after consultation with the Vleugels van Hoop and with the advice from the local leaders. The strengthening of capacity in the new project 'Beekeeping' will play a very important role in the region economically, social and environmental ; a sincere cooperation between all storekeepers may form the core of all good results of the activities. Note that all current projects are followed up (weekly) which is hopeful for future, good results and plays a major role for human food administration in the protection against erosion in order to achiove sustainable development with guaranteed profit. - purchasing of material has to happen in Dubai or Kenia as prices are significantly lower than at Api Business Developm. Cy. The outfits will arrive end of May. The positioning of the hives is depending on the height, wind direction and position of the sun rise. 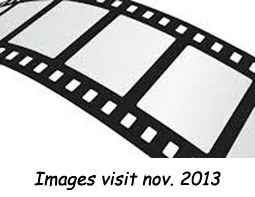 Click here to see the first images. 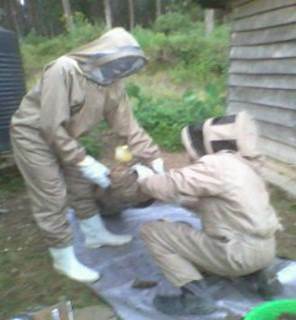 In the general the status of the project “Beekeeping and setup of a modern unit of hives” is good, both related to tradiotinal as modern hives. On top of this the educated beehive keepers, who work with the hives every day, can improve their beehives-stable, besides the modern beehive-unit, on the citrus fruits and eucalyptus to make the production more intense. 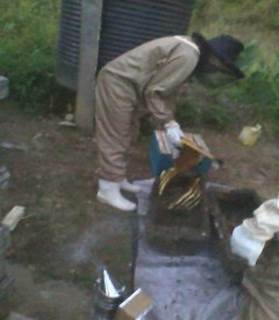 Pictures of the beehive keepers, maintaining and monitoring the traditional beehives, building the modern beehives, applying the waffled wax when building up starts. The journey from Kitabi to Bweyeye started at 08h55. At Pindura, around 11 a ’clock, we left the asphalt paved road. Since the beginning of the trip we drove through the Nyungwe forest (nowadays called National Park of Nyungwe). From Pindura to Bweyeye we crossed 30 km more in the National Park. After leaving the park we enjoyed the beauty of the hills around Bweyeye. We arrived in Bweyeye around 12h30. The welcome was very warm. The road towards the family of Joseph was decorated with banana leaves. This means in our culture “Welcome!”. At arrival Joseph’s family offered us a drink, after which we started the main activity of the day: visiting the beekeeping project. On our way to the hives we met Joseph and could start our visit. We did put on protective clothes and the adventure could begin. We got a general explanation from Damien, who is responsible for the daily follow-up. Afterwards we were witness of the harvesting from the traditional beehive. Unfortunately Bernadette was stabbed! Jean de Dieu, the guard, saved her. Unfortunately, seen the circumstances, she could not further follow the harvesting of the honey. Also Lut, who removed a glove to take pictures, was stabbed. To me this was a sign of “Welcome” as nobody else was stabbed. We returned to the car and took the harvest to the family. At arrival we could wash our hands and tasted the honey and afterwards we all enjoyed lunch. Keeping in mind their limited resources these people have outdone themselves. We were even offered banana beer. We had lively talks and exchanged ideas. My father took the floor and expressed the wish that God would bless the people of Vleugels van Hoop in all they are realising (with God in front of their way, followed by the Angels). It was good, what an incredible experience…but time was flying by and we had to return. Despite the heavy rainfall we could rejoice because of the cow. This one was donated by the organisation to the family. We took a lot of pictures before starting our way back. We left Bweyeye around 17 a’ clock to arrive at the Sisters in Rusizi around 19h30.